A childcare center in St. Louis, Missouri was cited last week after a seven-month old died while sleeping under a weighted blanket. The baby was reportedly found unresponsive on his stomach after a nap with a weighted blanket around his waist. The cause of death was officially ruled as SIDS. 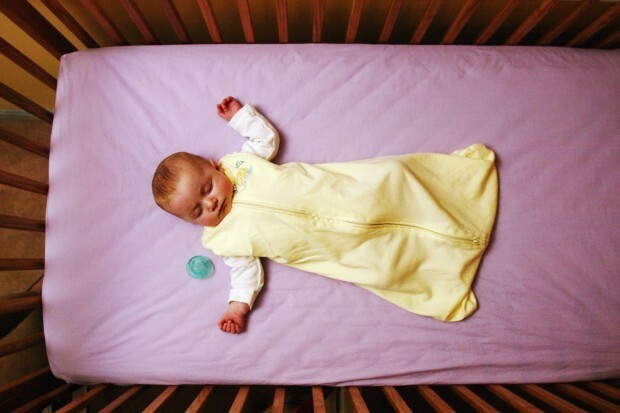 We’ll never know how much the heavy blanket contributed to this tragedy, but experts generally agree that blankets in babies’ cribs can pose a risk, especially ones that restrict their movements. 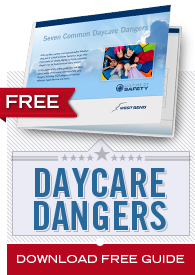 While we hope parents and childcare providers recognize the risk that blankets pose to infants, it’s safe to assume that if this nationally-accredited center was using them then others are as well. Weighted blankets are specially designed with extra weight sewn in to make them heavier than normal blankets. Weighted blankets, vests, and lap pads are used to help children who do not process sensory input properly. Weighted items can help children improve their body awareness, help to calm them and increase their ability to focus. These types of weighted materials are sometimes used for children with Autism or Sensory Processing Disorder. For safety reasons, children should always be able to remove the blanket themselves. It should never be too heavy for the child to move independently. When are weighted blankets used? Children who have diagnosed with conditions such as Autism or Sensory Processing Disorder may benefit from the sensory input from heavy blankets or vests. Weighted blankets or vests are sometimes part of a child’s therapy prescribed by their doctor or occupational therapist. These professionals decide exactly how much weight is optimal for the child. Weighted blankets should only be used in childcare centers if they are provided by parents and should only be used in homes if specifically recommended from a physician. Licensing regulations regarding blankets and other sleep materials vary from state to state, so childcare providers will want to verify their state’s policies before using one. The surest way to prevent dangerous situations like the one referenced at the beginning of this article is torequire parents to provide written consent and supply these types of blankets if they want them used for their child.